Each year I like to try to choose a word to use as a goal for the year. Sometimes I discuss the word with others, and sometimes I guard it close, my own secret pact with myself. This year I stumbled upon an entire quote rather than a single word: “Sometimes you can do everything right and things will still go wrong. The key is to never stop doing right.” Since reading it a few days ago, I can’t stop thinking about it. I keep finding it applying to different situations, each more apt than the last. Parenting two teenagers? Yup. Political drama? For sure. #blacklivesmatter? #metoo? Yes and yes. It applies to so many things, it feels limitless. 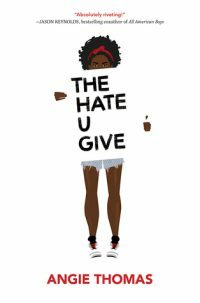 I read it in Angie Thomas’s stunning YA novel, THE HATE U GIVE, which I just finished last night. I think I’m the last person I know to read it, but in case I’m wrong and you still need to read it, do yourself a favor and put it at the top of your list. It is an examination of an urban black community and their reaction to a white cop killing an innocent black teenager from their community. All sides of the incident are poked and prodded, from every point of view imaginable, and then some, and shows us just how far-reaching and complicated the effects of such an act can be. This quote was inspiring to me on a personal level for many reasons, but especially thanks to the political climate we’re living in today. Politics has always had the power to make me feel hopeless, but today’s politics are absolutely brutal on hope. It could be so easy to lose hope altogether, but this quote reminds us that sometimes things just do not go our way. Hold your ground, keep doing what you know is right, be brave. As Spike Lee taught us way back in 1989, Do the right thing. I hope you feel equally buoyed by this quote, or feel inspired to find your own quote, or word, for 2018. Happy new year, friends. 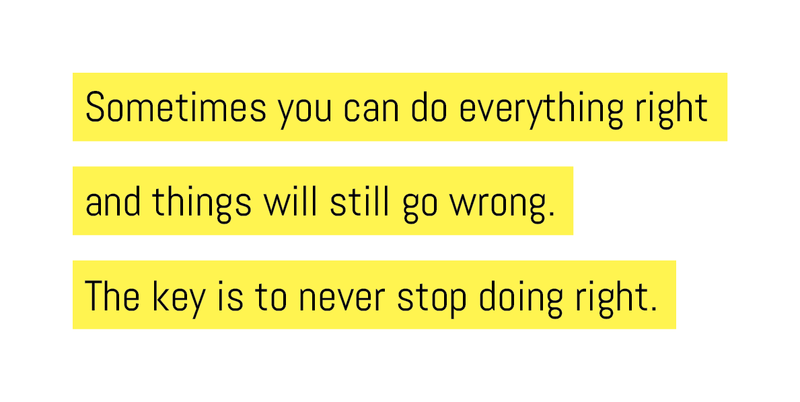 Let’s never stop doing right. PS, if you like this quote and would like to print it for your own inspiration wall, you can download a printable PDF here. Thank you for the reminder to “never stop “especially today.